Black elastic bungee/bungy cord. Also known as shock cord or elastic rope. We supply this in 3mm, 5mm, 6mm, 8mm, 10mm & 12mm either by the metre or foot or on a 50m or 100m plastic reel or spool/roll. 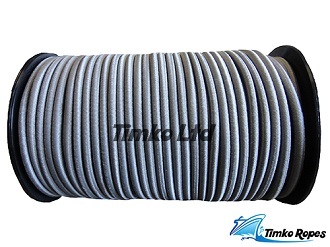 This elasticated cord is composed of one or more elastic rubber strands which is then braided with a outer polypropylene sheath. Olive green or nato green elastic bungee/bungy cord. Also known as shock cord or elastic rope. We supply this in only 8mm diameter or thickness either by the metre or foot or 100m plastic reel or spool/roll. 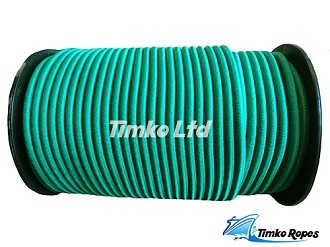 This elasticated cord is composed of one or more elastic rubber strands which is then braided with a outer polypropylene sheath. 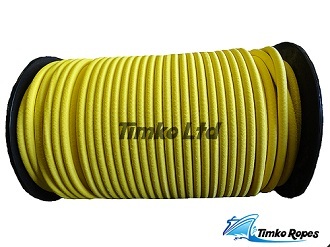 Yellow elastic bungee/bungy cord. Also known as shock cord or elastic rope. We supply this in only 8mm diameter or thickness either by the metre or foot or 100m plastic reel or spool/roll. This elasticated cord is composed of one or more elastic rubber strands which is then braided with a outer polypropylene sheath. Bottle Green elastic bungee/bungy cord. Also known as shock cord or elastic rope. We supply this in only 8mm diameter or thickness either by the metre or foot or 100m plastic reel or spool/roll. 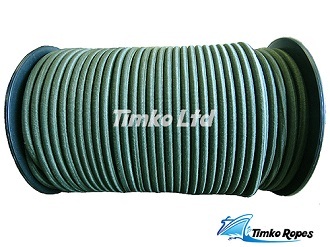 This elasticated cord is composed of one or more elastic rubber strands which is then braided with a outer polypropylene sheath. 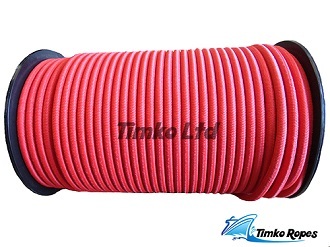 Red elastic bungee/bungy cord. Also known as shock cord or elastic rope. We supply this in only 8mm diameter or thickness either by the metre or foot or 100m plastic reel or spool/roll. This elasticated cord is composed of one or more elastic rubber strands which is then braided with a outer polypropylene sheath. 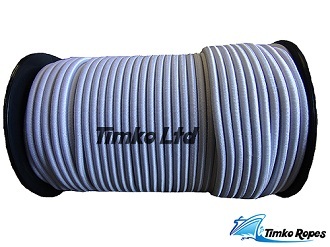 Grey elastic bungee/bungy cord. Also known as shock cord or elastic rope. We supply this in only 8mm diameter or thickness either by the metre or foot or 100m plastic reel or spool/roll. This elasticated cord is composed of one or more elastic rubber strands which is then braided with a outer polypropylene sheath. 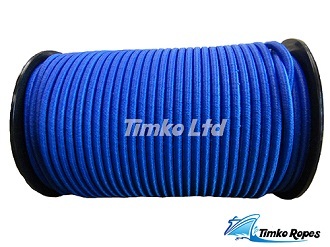 Blue elastic bungee/bungy cord. Also known as shock cord or elastic rope. We supply this in only 8mm & 10mm diameter or thickness either by the metre or foot or 100m plastic reel or spool/roll. This elasticated cord is composed of one or more elastic rubber strands which is then braided with a outer polypropylene sheath. Solid white and white with a blue fleck elastic bungee/bungy cord. Also known as shock cord or elastic rope. We supply this in 6mm, 8mm & 10mm diameter or thickness either by the metre or foot or 100m plastic reel or spool/roll. 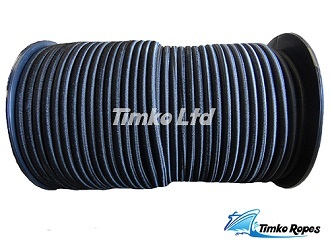 This elasticated cord is composed of one or more elastic rubber strands which is then braided with a outer polypropylene sheath.